These tours are ideal if you are looking for a quick, easy and active way to discover the landscape, history and tradition of Puglia. You simply choose the tour you prefer, book and go directly to the assembly point on your chosen date. There you will find your e-bike and tour guide. The tours are also suitable for families with children as you can request e-bikes in a smaller size and a baby seat behind your bike. 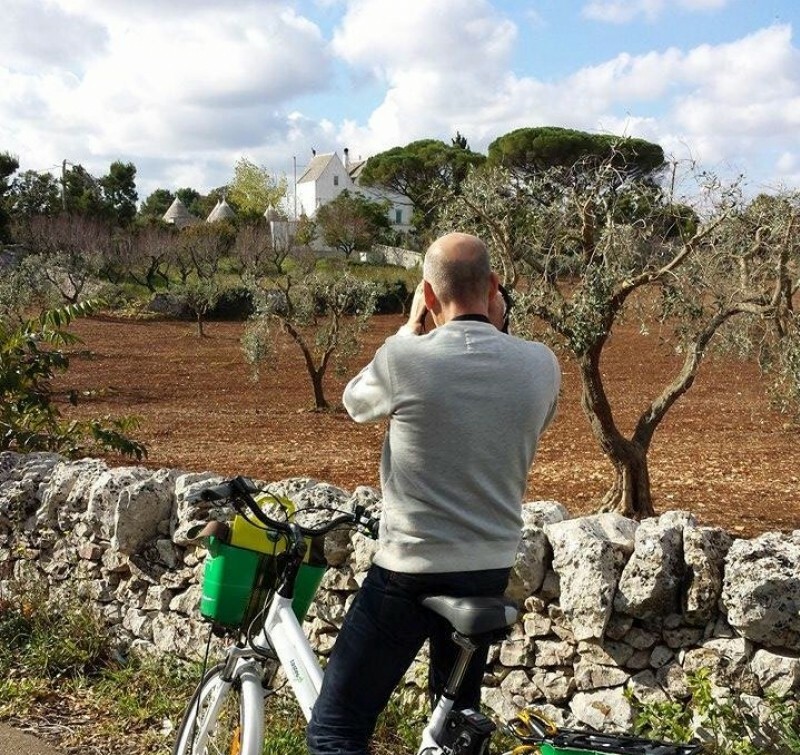 E-bikes are ecofriendly and alternative means to explore Puglia. They are designed to allow everyone (including children and elderly people) to cycle without difficulty and enjoy every detail of the surrounding view. Every Tuesday, departure at 16.00 from Monopoli (BA). Every Thursday, departure at 16.00 from Alberobello (BA). Every Friday, departure at 16.00 from Locorotondo (BA). Each tour includes bike rental and tour guide. From the coast to inland, surrounded by centuries old olive trees. A ride that begins from the beautiful seaside town of Monopoli, with its Romanesque Cathedral, the harbour and the old town full of bar, pub and typical small shops. The tour continues towards the inland, through country roads surrounded by thousand years old olive trees, until you reach an ancient underground oil mill to admire the olive oil production and taste it with typical local products. Ride after ride to discover the heart of Puglia: the land of trulli, stone architectures and dry-stone walls. The tour starts from Alberobello, the capital of Trulli and then, it continues by cycling through beautiful country roads to reach a local cheese factory where you can see the mozzarella making process and taste the typical Apulian cheeses and products. Ride after ride to discover nature and landscapes of the Itria Valley, surrounded by dry-stone walls, Trulli, vineyards and olive trees, until you reach Locorotondo, a village famous for its narrow whitewashed streets. Then, jump again on your e-bike and cycle along natural cycle paths in the countryside. Itria Valley is famous not only for its peculiar trulli, but also for the best Apulian white wines that you will discover by stopping at a famous winery of the territory. Here, you will visit its vineyards and wine cellar.